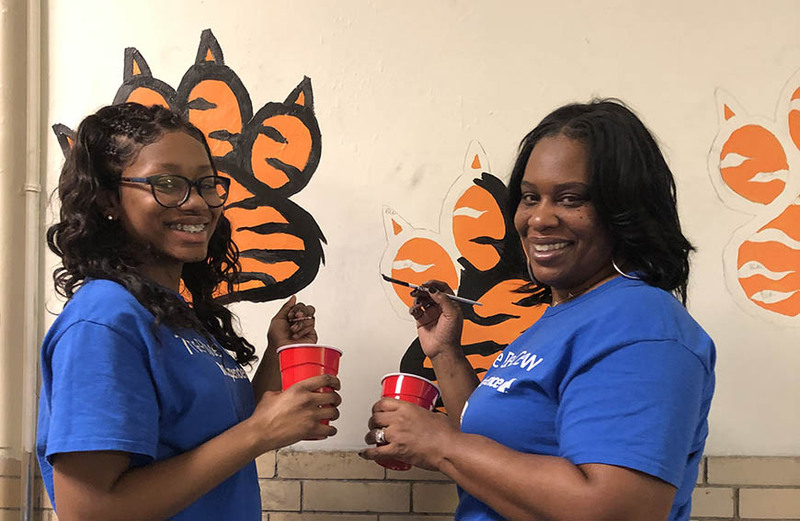 Deanne Riley-Giddins (right) and her daughter, painting a mural at Kensington High School during the Martin Luther King Day of Service. Over the last few years, I discovered that one of my favorite things to do is volunteer. My journey as a volunteer started with the Blue Crew in 2016. At first, I signed up for a few hours here and there. But, as I got more involved, I saw the need in the community and that ignited my passion for giving back. Now, volunteering is part of my everyday life. There are many things I love about volunteering — one of them is being able to involve my family. The first person I pulled in was my husband. Like myself, I started him off slow, but it wasn’t long before he was asking me about the next volunteer project! Shortly after, I brought my daughter on board and she loved it, too. 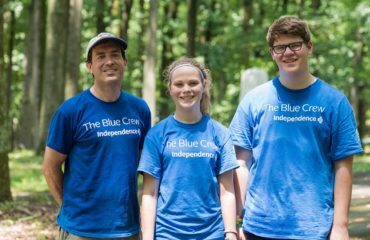 I am proud to say that both my husband and daughter are official Blue Crew volunteers, and we love volunteering together on several projects throughout the year. Like most households, my family and I have to work as a team to make sure our home runs smoothly, whether it’s making dinner or cleaning the house. When we volunteer together, we apply the same team principle: We assign tasks, set goals, and then we go full speed on executing the job. The difference is that when we’re volunteering together, we know that we’re making a positive impact on others in the community, and that is a great feeling. Most importantly, we did it together as a family, which makes it special. But volunteering has been so much more than just giving back to the community. It has also strengthened our bond as a family — whether we are feeding families at the Ronald McDonald House or participating in a 5K run, we have created so many great memories, learned new things about each other, and shared so many hearty laughs along the way. Volunteering as a family has opened our eyes, minds, and hearts to the need of others. It has also helped us gain a deeper appreciation for each other and all that we have been blessed with. With open hearts, joy, and love, we look forward to many more years of volunteering, creating more memorable moments along the way, and, hopefully, inspiring others to join in. 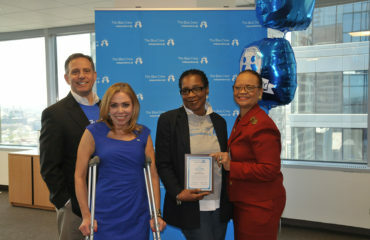 I am a Sr. Network Coordinator at IBX by day and a mother, wife, glam mom, and avid volunteer when I’m not working. I enjoy traveling, spending time with my loved ones and couponing. My passion is to one day start a non-profit chapter in Philadelphia to support and provide services to children who have Alopecia.